Once the presumption arises, the burden shifts to the Employer/Carrier to establish “that the employee is physically capable of engaging in at least sedentary employment within a 50-mile radius of the employee’s residence.” 440.15(1)(b). 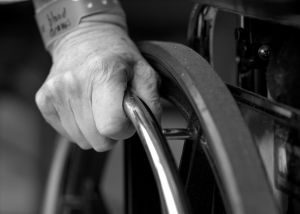 In Temporary Labor Source, the DCA held that the mere evidence of a prosthetic device improving the claimant’s “ability and capacity for work” did not come close to satisfying the E/C’s burden. PTD benefits were awarded.